Are you considering buying an Instant Pot or get one as a gift, and now scratching your head as to where to start? If you are an Instant Pot beginner, you should start here and find some useful information below in this article Instant Pot Beginners Master the Pressure Cooker. You feel like you can conquer the world with your Instant Pot. 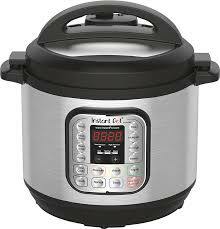 Once you feel more comfortable turning on and using your Instant Pot, you will be using this on the daily! Trust me, this multi-purpose kitchen essential will make your life that much simpler! I jumped on the Instant Pot bandwagon when it first came out. A multi-purpose tool to make my life easier, where do I sign up! I know some are afraid of electric pressure cookers, but we have to realize that the Instant Pot is a modernized form of the classic pressure cooker. They are much safer, and this electric pressure cooker can make your life in the kitchen a breeze. What Is An Instant Pot: The Instant Pot is an electric pressure cooker, steamer, yogurt maker, warming pot, slow cooker and more all in one. It allows you to have one appliance that does the job of a handful of kitchen appliances and tools. Pretty impressive, right?! It takes up minimal space, and you can buy a variety of sizes from 3 quarts up to 8-quart size. You can choose a size to fit your needs. If you have a larger family you might reach for the 8-quart size, only have you or your spouse you cook for, buy a smaller size. This is the biggest question I think many have, is it safe? Some threat and danger have followed the pressure cooker over the years. But what you have to remember is times have changed. Old pressure cookers were a pan with a lid; this is an electric pressure cooker. There are fail-safe mechanisms in place to protect you and your kitchen. The most significant thing is to read your manual and make sure you know how to work your pot correctly for safety reasons. How Does The Instant Pot Cook Food Faster? With an Instant Pot, it can cook food in a fraction of the time because it traps steam which increases the pressure inside the cooker. When the pressure rises, the temperatures rise quickly and that cooks your food a lot faster, and can even lock in moisture, flavor, and nutrients. This one appliance makes it so convenient, especially if you are running short on time. 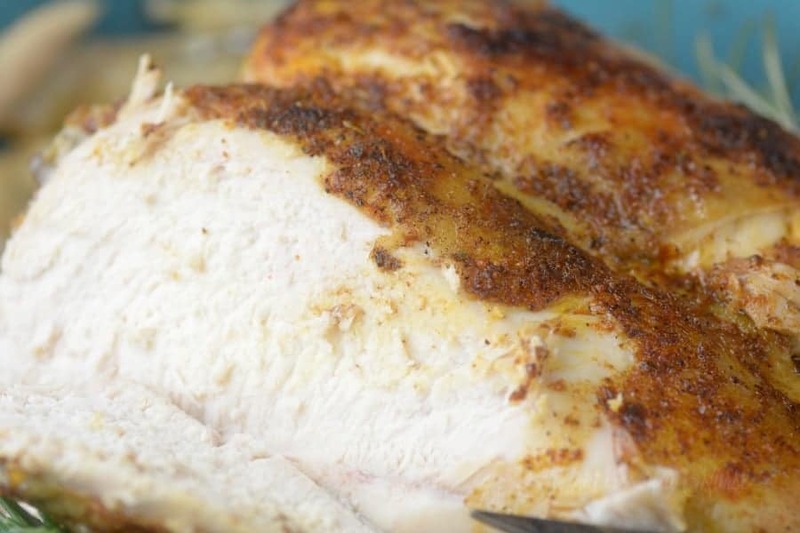 Whip up a Whole Chicken paired in the Instant Pot that is ready in a fraction of the time compared to stovetop cooking. Or whip up Better than Take Out Beef and Broccoli for a quick weeknight dinner in no time flat. Seriously this little device has taken over our kitchen, and for a good reason. It can do pretty much anything, and the dishes taste amazing. The owners manual is a must with this appliance. Depending on the model you purchase, you will find things are a bit different in how you work the pot. The first thing I recommend is taking time to read the entire manual. This will help you learn how to be safe when using your electric pressure cooker and you will be able to feel more confident when you turn it on. With your Instant Pot you will see you have the option with a touch of a button to set it to make yogurt, rice, saute’ and more. Also, know that you can manually set timers to go a step further. I do recommend when you are first starting out to try beginner recipes, Like 4 minute Instant Pot Goulash Or Homemade Hamburger Helper. These are good so that as you begin to get the hang of your Instant Pot, you can start to tackle more advanced recipes. You will find hundreds of Instant Pot recipes Right here on Adventures of a Nurse. You can whip up from main dishes, One Pot meals, sides, and of course, we can’t skip over desserts. You can even hard boil eggs for meal prepping or to toss in your salad. After you read the owners manual then grab some ingredients and try out a recipe, and see what you think! Don’t be afraid, embrace it. Do you have a good Yogurt rerecipe using the Lux60?